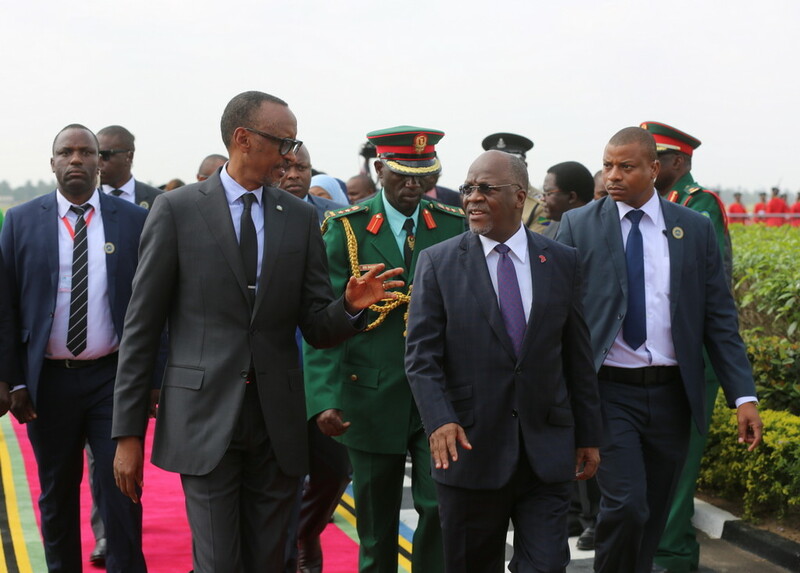 KIGALI/ARUSHA/KAMPALA – Rwandan president Paul Kagame has Thursday, March 7 arrived in Tanzania where he is expected to meet and hold bilateral talks with President John Pombe Magufuli. Mr. Kagame is also expected to request Mr. Magufuli to mediate the Uganda-Rwanda standoff, according to local media. Both Kampala and Kigali are on good terms with Tanzania as a country. Mr. Kagame was in South Africa a day before he jetted into Tanzania where he met president Cyril Ramaphosa at a dinner of the Young Presidents Organization (YPO). South Africa is also part of the axis through which Rwanda’s concerns originate. Rwanda claims South Africa hosts Kayumba Nyamwasa, who heads the Rwanda National Congress (RNC) and its alleged armed wing “P5” based in the Democratic Republic of Congo. Rwanda also claims Kayumba is a ringleader of the group being bankrolled by Uganda’s leadership. No details were availed as to what Kagame and Ramaphosa discussed. Tanzanian Foreign Affairs Ministry issued a statement on Wednesday, March 6, confirming Kagame’s visit. Authorities in Kigali recently detailed what they say are the “three outstanding issues” it has against Uganda – in fresh row for hearts and minds of ordinary citizens in both countries. Foreign Affairs and Cooperation Minister and government spokesman Dr. Richard Sezibera explained the concerns at a press briefing in Kigali saying the “intense efforts are underway to restore good relations with Uganda” only if the demands are solved. He stressed that until all the issues that have been pending for the past two years are solved, relations will not normalize. Mr. Sezibera said: “There are three outstanding issues we have put to Uganda to resolve for the tension to calm down and these include Uganda providing room for dissidents with intent to harm Rwanda including RNC, P5, and FDLR”. He said Mr. Kagame had been assured by his counterpart Mr. Museveni at bilateral summits in Ethiopia and Entebbe as well as through other channels that all would be resolved. “It has been two years and nothing has been done despite the many letters and phone calls. Some of these diplomatic notes never got responses,” he said stressing that until all the “three outstanding issues” are solved, Rwandans are “advised” not to travel to Uganda.